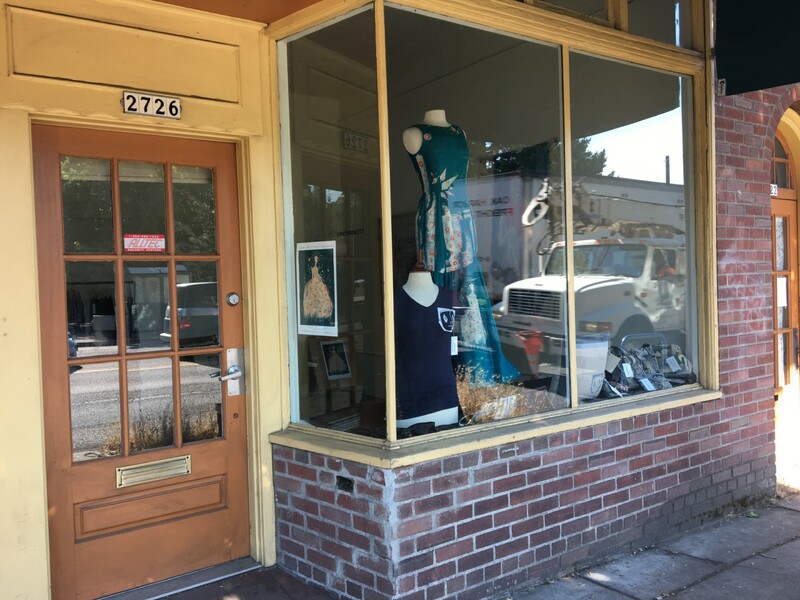 The large, street-facing window allows passers-by to easily look in, but the door is open only by appointment and for events. Snellman keeps the space lit and clean, but lets the featured artist decide when the gallery is open each month and what goes on inside. She says it’s never been about fitting into what she saw as the “constipated” gallery scene in NW, but about making art experiences accessible in her own neighborhood. The gallery’s name comes from its location near the corner of MLK Boulevard, formerly known as Union Avenue, and Knott Street. Snellman shows many artists who live or work in the neighborhood, like Billy Ray’s bartender, Tyler Corbett. His show, Fire Signs, displayed photo collaged light boxes of smoky summer scenes in Portland. The small space has also hosted dance performances and poetry readings, anything an artist might imagine. Heidi Snellman is versed in the art of making friends and connecting people. She has lived in more than a dozen cities, but her time in Portland has outlasted anywhere else. She spends time socializing at TwentySix Café or Tiny’s with her tiny dog Gigi. She says conversations with artists and neighbors keep her connected to her community and make the gallery a reflection of what’s going on outside its walls. Gallery shows usually have an opening and closing event, which you can find posted both on, Instagram @unionknott and their wide window on Martin Luther King Jr. Blvd between Bridges Café and Tes’s Barbershop. Previous PostEliot’s Unique Bike HiveNext PostCommunity Acupuncture is Everywhere!